Happy holidays friends! 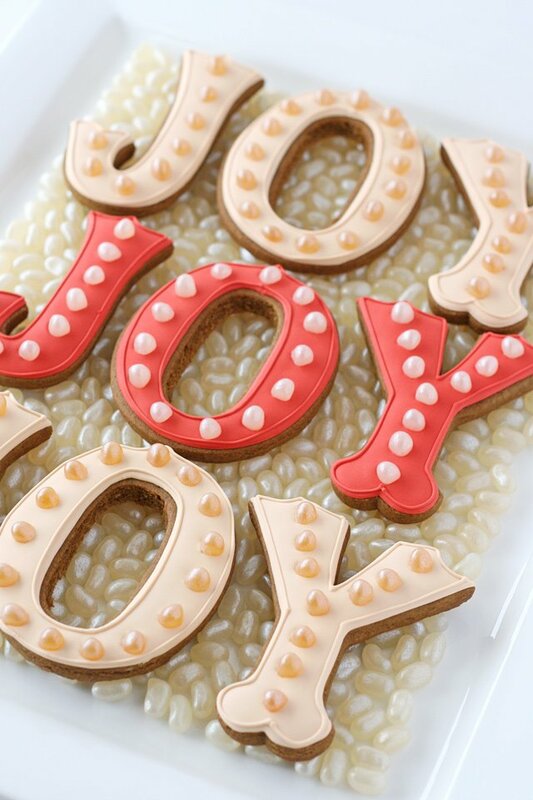 Today I have some simple, modern and fun JOY Marquee Decorated Cookies perfect for sharing with family and friends! I’ve partnered with Jelly Belly to bring you this sweet and festive project. 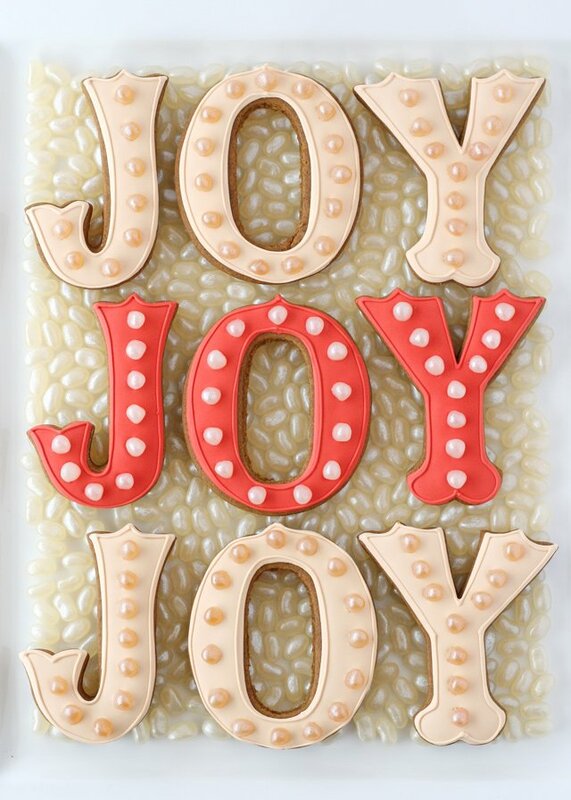 These cookies start with my favorite gingerbread cookie recipe, then Jelly Belly jelly beans are added to create the distinctive look of a vintage marquee sign. I chose a simple JOY message for these cookies, but PEACE, MERRY, or HO HO HO would also be fun! These could also be perfect for a birthday by using numbers, or the name of the birthday boy or girl. The options are endless with this simple design! Display the cookies on a plate filled with Jelly Belly jelly beans for a perfectly sweet presentation! 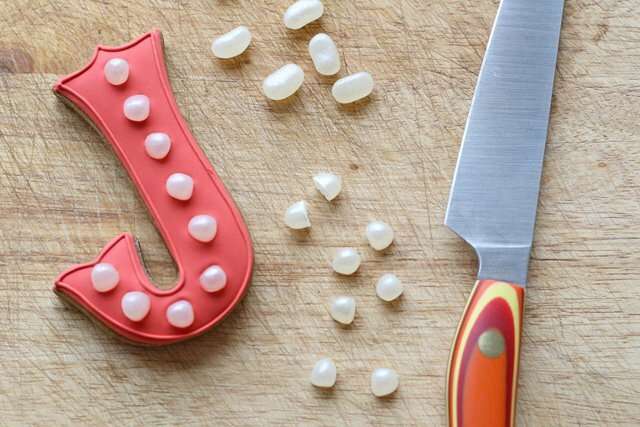 Jelly Belly jelly beans – I used Jewel Ginger Ale Jelly Belly candies with the cream letters and Jewel Cream Soda Jelly Belly candies with the red letters. 1. Bake cookies as directed, cool and set aside. The cookies can be made a day or more in advance. 2. Prepare Jelly Belly jelly beans by cutting in half (as shown below). 3. 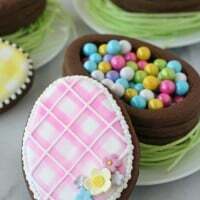 Prepare royal icing (recipe listed above) and prepare two consistencies of each color you plan to use. You want one thick consistency icing, this should be about the thickness of toothpaste (thick enough it stays in place when piped, but not so thick it hurts your hand to squeeze from the piping bag). You’ll also need a thinner, or “flood” consistency, which should be about the consistency of shampoo or corn syrup. 4. Using a #2 sized tip, pip an outline of the thick icing around the edge of a cookie. 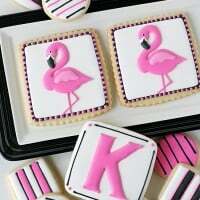 Once outlined, fill in the cookie with the thinner, flood icing of the same color. 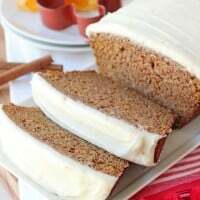 Use a toothpick as needed to make sure the icing is filled in and settles flat. Immediately, place the cut Jelly Belly jelly beans as desired. 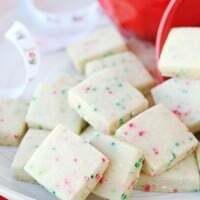 Set cookie aside and allow icing to set, at least 2-4 hours. 5. Once the base icing has set, add an outline to the cookies using the thick icing. Set cookie aside to dry. Allow an additional 4-6 hours for the icing to fully dry before packaging or stacking. 6. 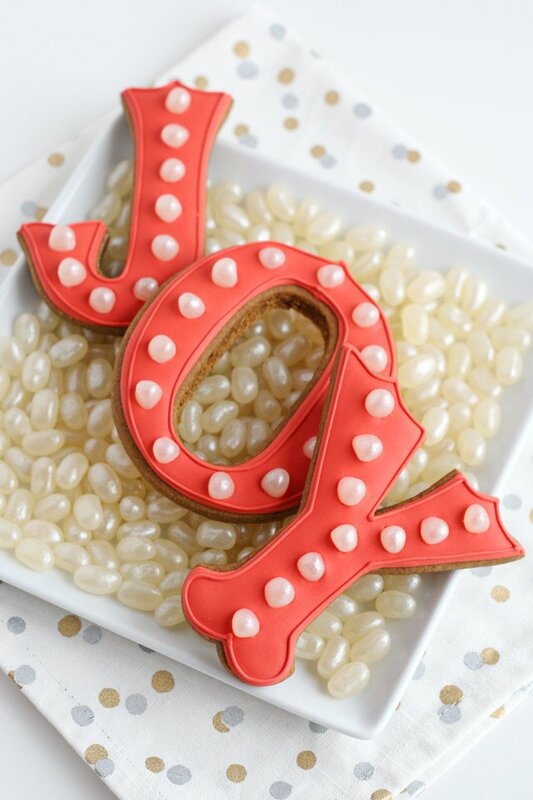 Serve you marquee letter cookies on a platter filled with Jelly Belly jelly beans for an extra fun presentation. What festive message do you think you’d like to make using this marquee sign look? Be sure to visit Jelly Belly and stock up on beautiful and delicious sweets for all your holiday celebrations! Disclosure – This post is sponsored by Jelly Belly. All text, images and opinions are my own. I only partner with brands I use and love. I Die. So stinkin’ cute!!! Never thought about cutting jelly beans in half for decor…great idea. Oh my gosh!! This is the perfect cookie – such a great idea. Totally using it for Jordan’s birthday party, she loves theatre! Glory! These are so awesome. I love anything promoting JOY, and these cookies do that so well! I seriously can’t get over how gorgeous these are or how they TOTALLY look like the marquee signs that are so popular right now. Well done! Oh my gosh, how beautiful are these?! I can’t believe you did that with jelly beans! Wow, so gorgeous! I never tried this before. These cookies are so awesome. If my kids seem them, they will fall in love with them. So pretty! I can’t believe those are jelly beans on top!